Happy Bank Holiday Monday! 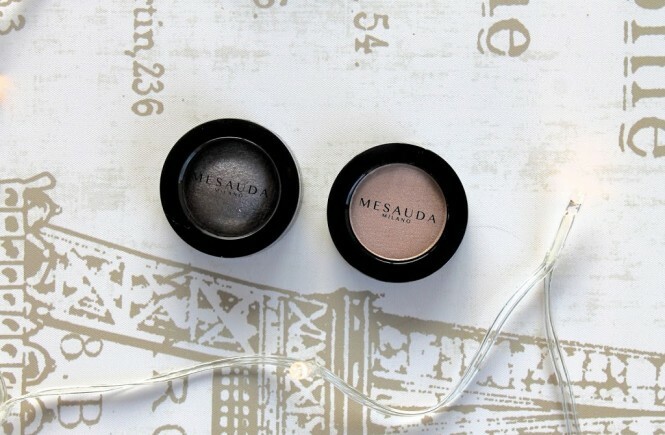 I’ve been feeling a bit of a beauty and skincare void recently here on the blog. I love sharing my favourite products with you all and also introducing you to new brands I am trying out. These Kinvara Skincare products arrived in my mailbox at just the right time. I am always keen to support Irish beauty and skincare brands who get in touch and love nothing more than taking their products for a trial run. 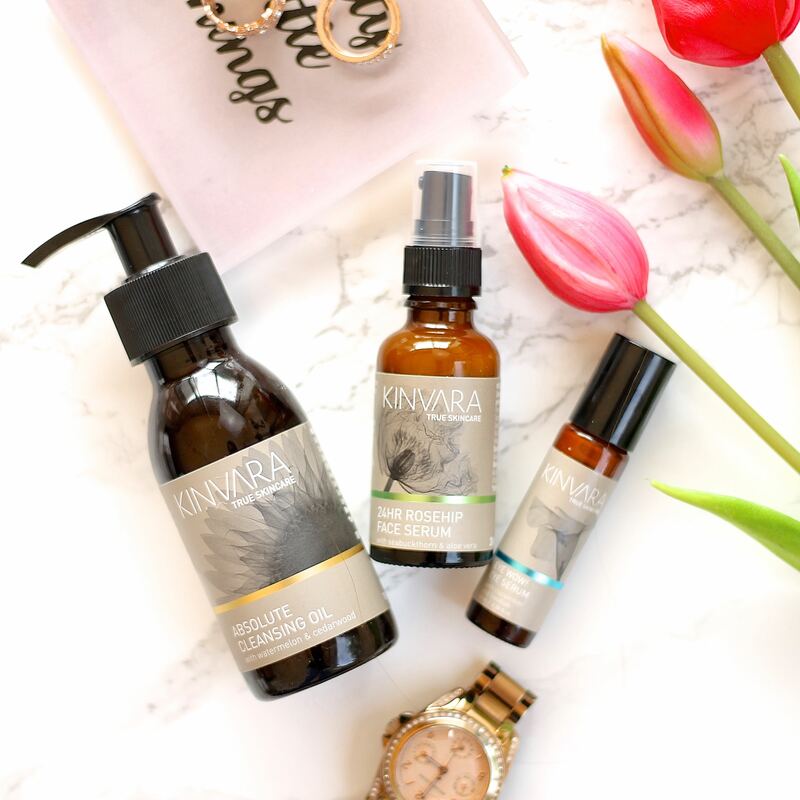 I had heard about Kinvara Skincare from the beauty blogging world a couple of years ago and was thrilled when the Galway skincare brand got in touch. They sent me along three of their skincare bestsellers to try out and I thought I would tell you a little about them here in today’s post. I will be sharing my thoughts as I try out each product over the coming weeks on Snapchat (BEC_BOOP) and Instagram Stories (BEC_BOOP). 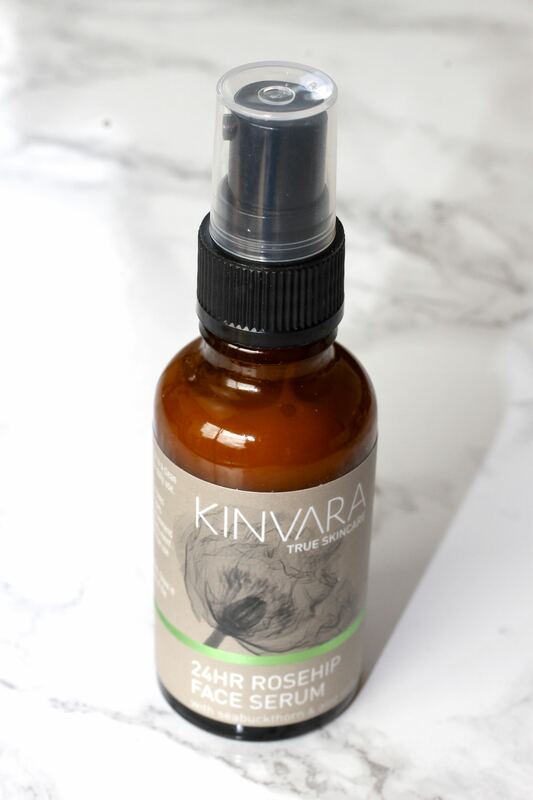 Kinvara Skincare products are made in Ireland using Irish ingredients such as rapeseed oil, seeweed and beeswax along with other organic, fair-trade and plant based ingredients. They are renowned for excellent customer service and have a relatively small product base at the moment but with ambitious and exciting growth plans! For stockists see the Kinvara Skincare website here. 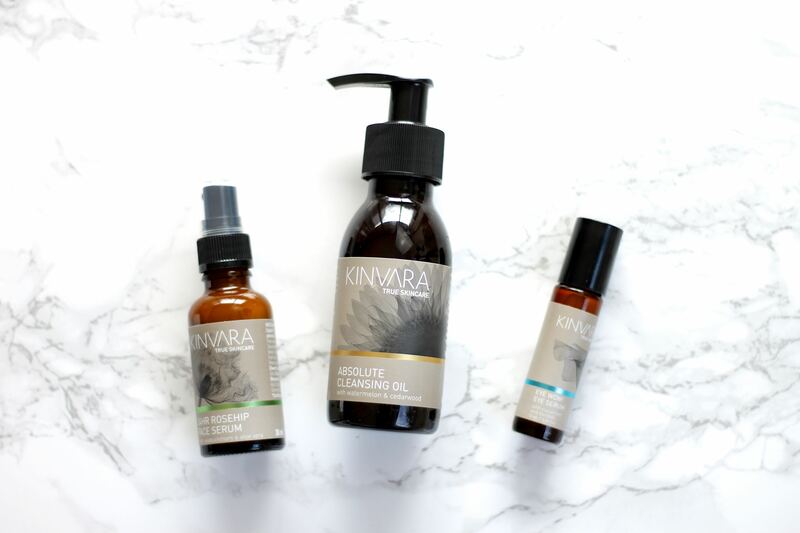 These are the Kinvara Skincare products I am currently trying out! First up we have the Absolute Cleansing Oil. This hot cloth cleanser contains skin loving plant oils designed to restore balance while gently cleansing your skin. I definitely can’t wait to incorporate this into my Sunday evening skincare routine. Next up Kinvara Skincare sent me their popular 24HR Rosehip Face Serum. I have made no secret of my love for face serums as part of my skincare regime and Rosehip is definitely the current craze. 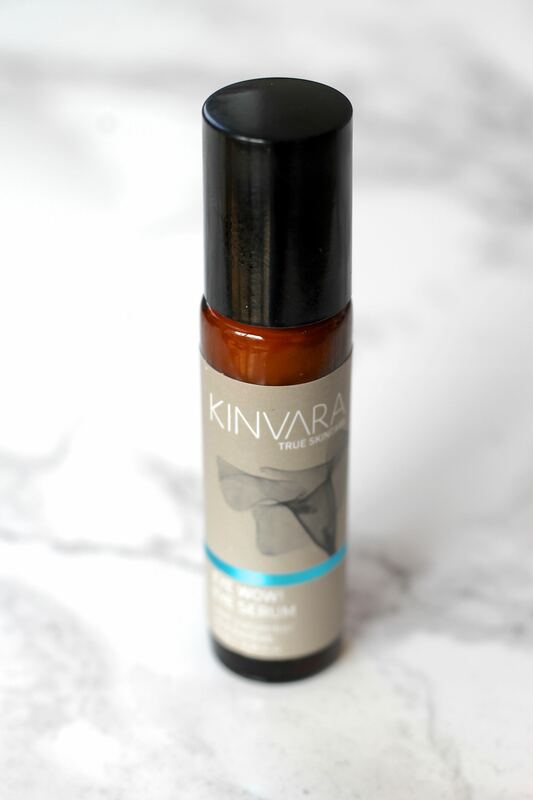 The Kinvara Skincare Rosehip serum has been around for a couple of years now after winning Serum of the Year at the 2015 Beaut.ie awards. 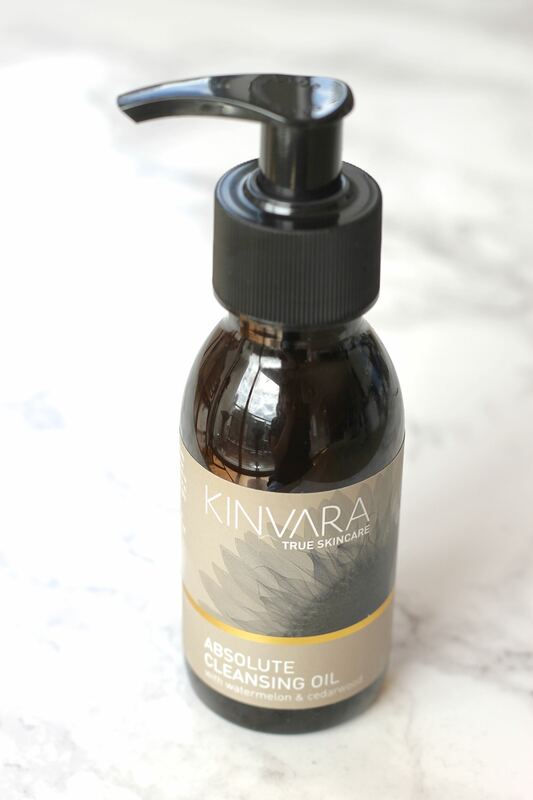 It’s a small bottle which packs a bang into each drop – containing plant extracts, vitamins, antioxidants and calming ingredients. Finally Kinvara Skincare sent me along their Eye Wow! Eye Serum product to try out. This eye serum is designed to reduce the appearance of dark circles and puffy eyes, smooth fine lines and revitalise the delicate under eye area. As I head into a really busy time of year at work I will definitely be hoping this works wonders on my eyes! I would love to hear from you in the comments below. 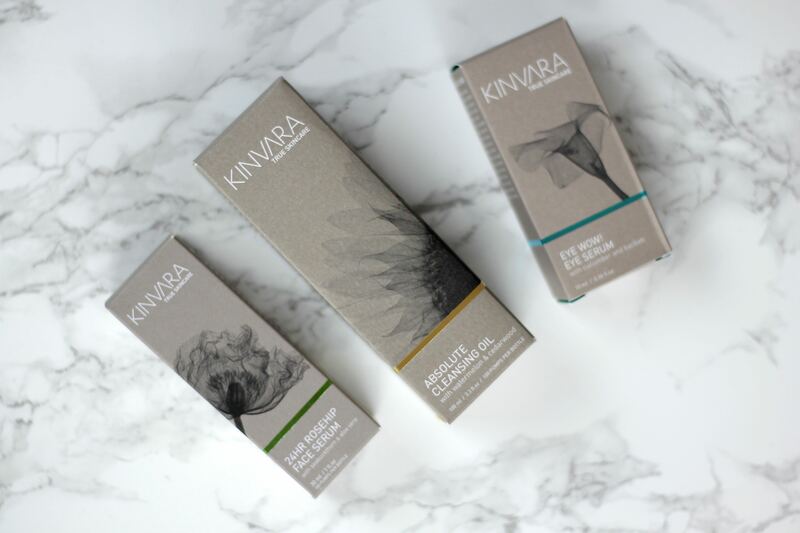 Have you tried any of the Kinvara Skincare products? Let me know what you think. I have been wanting to try the Kinvara range for a while, especially the eye serum. Would you recommend it? I have terrible dark circles, impossible to get rid of!